You know how sometimes an article can jog your memory of something? 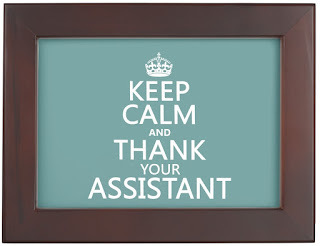 Today, I was pointed in the direction of Mark Goulston's rather excellent article on the importance of thanks and praise for assistants (see "How to give a meaningful Thank You", from February 2013 - available on the Harvard Business Review website https://hbr.org/2013/02/how-to-give-a-meaningful-thank). Reading the article, I was reminded of a Personal Assistant who spoke with me a couple of years ago about one of her former bosses. 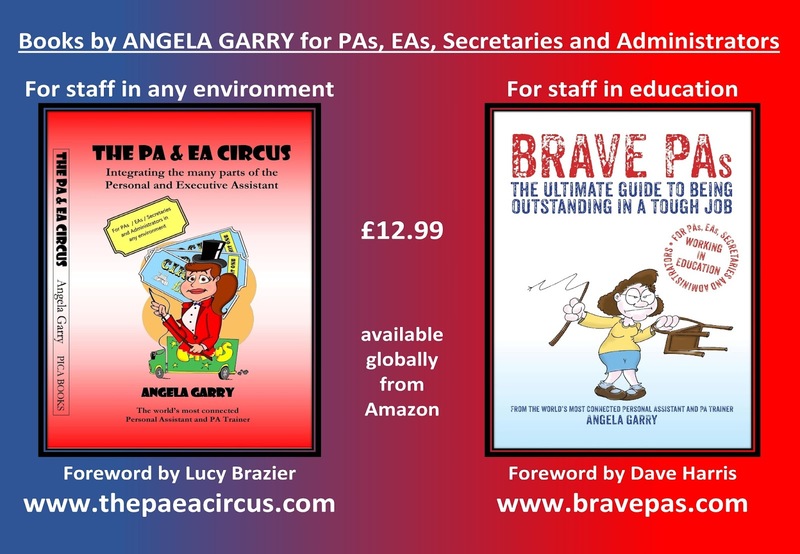 Since 2010 I have been delivering training, mentoring and coaching sessions worldwide for PAs, Executive Assistants, Secretaries and administrators. Kelly* attended one of my training sessions in 2013, around the time Mark was writing his article. She was at that point about three years into her job at a leading finance organisation. Within my training session I had mentioned the importance of thanks - and she came to chat with me afterwards on how much this had resonated with her. "I never did though, I was far too professional in my work and I became more determined, I suppose, to prove him wrong and to make him appreciate what I did, by going that extra mile on things, putting in additional effort. "The more I worked, the harder I worked, the more effort I put in, the earlier I came into the office and the later I stayed to get things done, the less he seemed to notice. The pressure grew all the time, and I became more and more unhappy, more and more tired, more and more determined to get things right enough that my boss would have to see how good I was, surely he would see it one day? But he never did. "A colleague from another branch of the bank came into my office around 9am one day for an all-day meeting with ten or twelve others, plus my boss, who hadn't arrived yet. He and my boss were due to meet for an hour first before the others arrived for the major pitch on a project. He commented on the two empty coffee cups on the shelf behind my desk - hadn't the room been cleaned last night, he asked? I explained that they were my 'first thing in the morning' and 'one hour after arrival' drinks from this morning. "You mean you've been here over an hour already?" he asked. "About two hours, actually, to get the final things ready for this meeting", I said. "He sat at a spare table in my office and got on with some paperwork whilst waiting for my boss to arrive. When my boss finally came in half an hour later, the colleague said jokingly to him "You work Kelly much too hard, you know. Do you know she's always in the office so early each day?" My boss smiled and replied "She thrives on the pressure, she wouldn't have it any other way." "They went into their meeting. I was in split in two trains of thought. Part of me thought, yes, I did seem to thrive on pressure, I worked hard and got into routines to get me through a lot of work swiftly. The other part of me thought, no, I wasn't thriving at all, I was miserable, over-worked, over-wrought and exhausted, and why couldn't my boss see that? Probably because *I* hadn't seen that until then. "The all-day meeting was about a really major project, which could have a big impact for the organisation. I'd spent an enormous amount of time in the weeks leading up to this meeting, putting together the documentation, the presentation slides, the handouts, etc. The other attendees arrived and joined the meeting. I flitted about, organising teas and coffees, making sure the lunch order was finalised, making yet more copies of papers after someone spilled coffee on theirs, and mopping up the spilt drink. As I was doing this, I heard my boss say something about how they ought to halt the confidential discussions whilst "the little woman was cleaning the table". No mention of the fact that I had typed all of the confidential documents that they were looking at, or of the other hard work that I had put in to ensure that everything was ready for this major meeting. Just a sly comment that implied that I couldn't be trusted to hear something confidential. "I went back to my desk and got on with my work. But I also spent the day thinking (and fuming!) about what had been said. At the end of the all-day meeting, the visitors left, and the colleague left. My boss came out of his office, beaming from ear to ear. "We've got the project 'go ahead'", he said. "This is going to be major. Of course, you're going to need to put in some harder work from now on, but at the end of this project it's going to mean a lot. I'm even going to get a nice big bonus out of it." He was so proud. Something on my face must have registered for a second... "I'll see you right, don't you worry. In fact, I'll go and sort that out now" he said, and he left for the day. "A small part of me thought "Wow, has he gone to speak with someone about a bonus for me?" I went home, exhausted. When I got into work the following morning, everything was the same as usual. I did an hour and a half's work before my boss swanned in with an unfeasibly large bouquet of white lilies, wrapped in paper, which he plonked on my desk. "This is for your hard work on the project" he said, and went into his office. Not even a "Thank you"' and certainly no hint of a bonus for me. "White lilies have been traditionally used as a highly scented flower to mask the smell of death. We've had white lilies at family funerals. I don't like their smell, and because of the funerals, I associate them with death. To be brutally honest, I hate white lilies. They're not a cheerful flower. And they're certainly not a 'thank you for all your support' flower. What were these flowers were to me? They were the death of my role. "I sat at my desk and typed a resignation letter, resigning with IMMEDIATE EFFECT and stating that I would take my remaining holiday entitlement - all 16 days of it - during my notice period. It was close to Easter. This meant that I gave a month's full notice, but didn't owe the organisation another day or my time. I didn't even owe them that day - my annual leave entitlement was enough for me to walk out, there and then. So I did. "I printed two copies, signed them both, and put one into my boss's in tray and the other into the internal mail tray in the corridor, in an envelope marked to the Director of HR. I emptied my few personal things from my desk. And I put the lilies in my office bin which I stood on my desk - next to a handwritten note saying "Thank you." "My 'thank you' note wasn't to say 'thank you for being a great boss' - oh, no no! It was to say 'thank you for showing me that I needed to do this for myself, and that I needed to make the decision to leave'. "Then I walked out, crossed the road and signed on with a temping agency, who found me a full-time role to start just a couple of days later. I never went back. "After a few months of temping in several offices, a week here, a couple of weeks there, I found my current role and I love it. I'm not looking for a boss who tries to thank me for every single little thing I do day in day out, but being genuinely thanked every once in a while when I've been working hard is SO joyful and means SO much." * Note: Kelly has given me her permission to repeat her story here, on condition that I change her name for anonymity purposes. Take on board the amount of work that your assistant does for you. Notice the number of hours they put in on your behalf. Look at the amount of success you achieve as a result of their efforts. And then THANK THEM. Genuinely. Mean it. Not just a quick "thanks a million" as you walk out of the door, or a "Tks" at the end of an email. 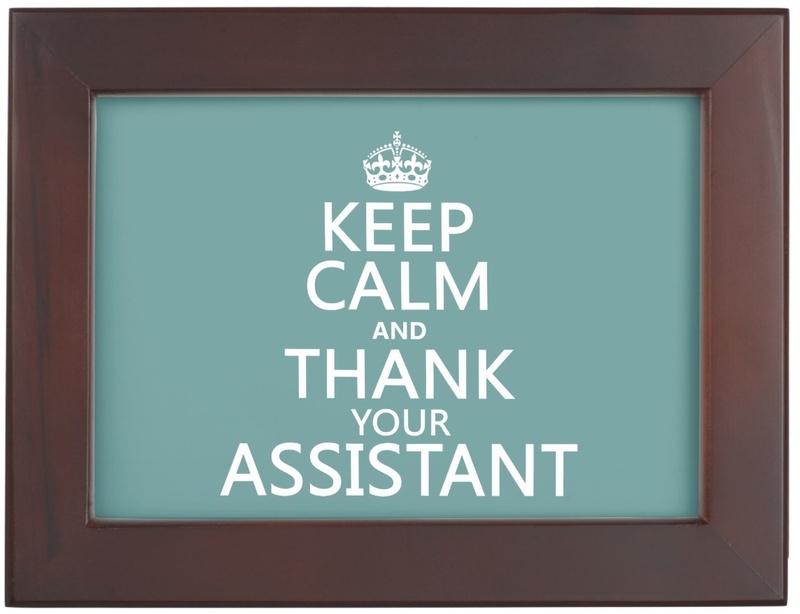 Let your assistant know that their work is appreciated, that their efforts are appreciated, that what they do MAKES A DIFFERENCE. Then I want you to do something more. Administrative Assistants, Personal Assistants, Executive Assistants, Secretaries, whatever you choose to call us in our roles, are paid VERY little for the level of expertise and professionalism which we demonstrate on a daily basis. And yet, more and more, you expect more from your assistant. In the Hays / Executive Secretary survey (results published in July 2015), 63% of managers / executives credited their assistant with working at MANAGERIAL or DIRECTOR level. There is no excuse for paying such a worthy worker a pittance for their efforts in ensuring that you do well in your role of running the organisation. Without the support of your Assistant, where would you be? 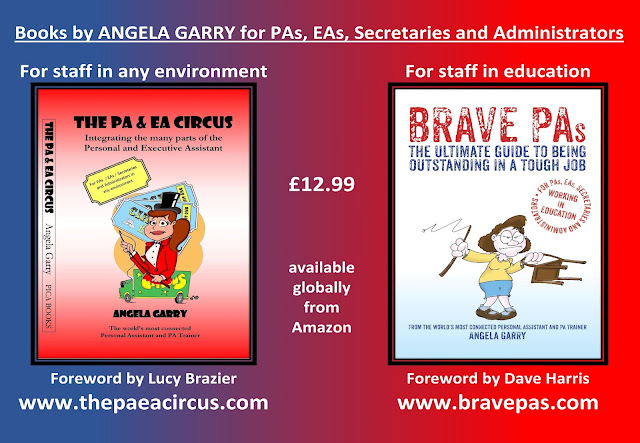 PAs and EAs the world over are supporting the leadership of businesses, working in partnership with their bosses, to run organisations. We are not the stereotypical "take a letter, Miss Jones" secretary or no-brained receptionist from the cartoons of the 1950s. We never were. We are working in partnership with you, we have well developed skills and expertise, we soak up your knowledge in order to keep the organisation running all day while you are out at meetings. We deal with your visitors, your phone calls, your correspondence, with the knowledge and learning that we have developed in our roles. We help you to lead your business to success. All of that deserves thanks, praise and appropriate remuneration. As I've said before, it's all L'Oreal, you know.